Hawkesbury mare Royal Hootenanny’s form surge has delayed her impending retirement to stud – at least for the time being. Trainer Garry White, on a form surge himself, confirmed the former Queenslander would be given the opportunity to chase a New South Wales hat-trick. Royal Hootenanny and White’s apprentice Ashleigh Borg made it two wins from as many starts since being switched to Hawkesbury when she outran her rivals at Newcastle on Saturday. Borg’s 3kg claim lessened the Hidden Dragon mare’s weight from 58 to 55kg and she was too nippy in the Benchmark 70 Handicap (900m). A $2.80 favourite, she was strong to the line in defeating Rastafarian ($4) and another Hawkesbury representative, Garry Frazer’s Identic ($3.50). Only nine days earlier, Borg had partnered Royal Hootenanny to another all-the-way victory at Hawkesbury’s opening meeting of the 2017-18 season. 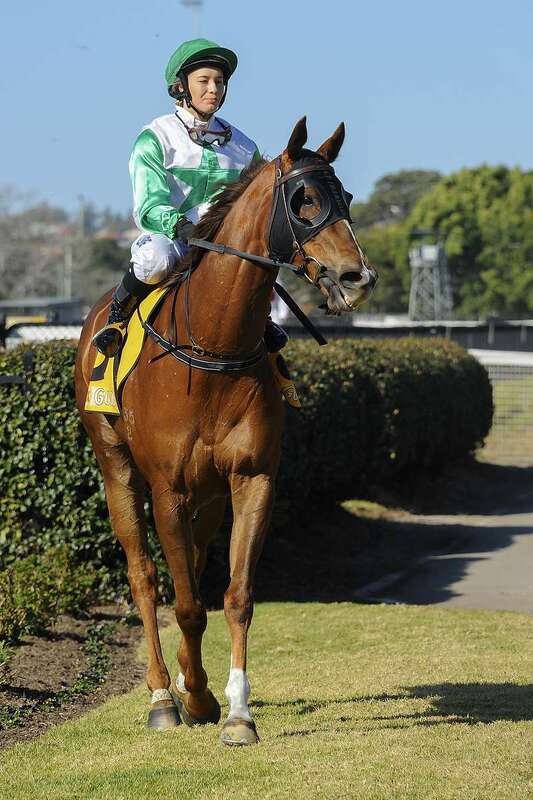 The Newcastle victory lifted the mare’s record to seven wins and a similar number of placings from 34 starts. White enjoyed his best season since 2009-10 when he prepared 17 winners in the racing year just concluded. Eleven of those winners were at his home track, making him the most successful local trainer at Hawkesbury last season. And he has carried on where he left off, already winning three races in the first fortnight of the 2018-19 season (two with Royal Hootenanny and a Randwick success with Letter To Juliette). Like her master and Royal Hootenanny, Borg is also in white-hot form. Apart from her two successes on the mare this month, she also won on Brown Thomas (July 15 at Hawkesbury) and Lady Chalfont (July 31 at Newcastle) for White, lifting her career tally to seven. Hawkesbury's Brad Widdup handled some champions during his lengthy stint with Crown Lodge, subsequently Darley and then Godolphin. And whilst Saturday’s first-up Rosehill Gardens winner Sandbar is yet to earn that tag, there’s no doubt he is a pretty special horse as far as his now trainer is concerned. The Snitzel three-year-old has been a real flag-bearer for Widdup’s Hawkesbury stable since the experienced horseman took up training in April last year. Sandbar provided him with his first black type winner (the Lonhro Plate at Warwick Farm in February) and also gave him his first runner in the world’s richest juvenile race, the Golden Slipper Stakes, at Rosehill the following month. Having his first start since his Slipper eighth to Estijaab and beginning his three-year-old season, Sandbar ($6.50) lifted his win record to 50% (3 from 6 starts) and gave his trainer another black type victory when he toppled Charge ($8) and Golden Tycoon ($11) in Saturday’s $150,000 Listed Rosebud (1100m). There was no fluke whatsoever about the performance as the colt carried 59kg equal topweight, conceding the two placegetters 6kg and 5.5kg respectively. Sandbar’s victory has provided Widdup with a few options. He can run him next in the Group 3 San Domenico Stakes (1100m) at Rosehill on Saturday week or wait for the Group 2 Run To The Rose (1200m) there a fortnight later. “Sandbar has pulled up well, but I won’t commit him to the San Domenico just yet,” he said. “I can always trial or give him another exhibition gallop if we hold off until the Run To The Rose. Sandbar gave Widdup his first winner of the new season (57 overall), and he is planning an interstate trip this week with another talented three-year-old, Witherspoon – and hopefully a Group breakthrough. She will run in the Group 3 Quezette Stakes (1100m) at Caulfield on Saturday, and Regan Bayliss has been booked for the recent Randwick runner-up. Widdup took the Exceed and Excel filly to Gosford last Monday for an 800m trial (she finished fourth to talented colts Jonker and Graff) to keep her up to the mark for her Melbourne assignment. Meanwhile, Widdup’s apprentice Qin Yong opened the new season with a Canberra winner last Friday, scoring for co-trainers Barbara Joseph and Paul Jones on $2 favourite Athonis in the TAB Federal Benchmark 60 Handicap (1280m). It was his 17th Australian winner, and Widdup is pleased with the young Chinese jockey’s progress: “He is getting more experience and starting to attract rides from some of the leading stables in Canberra and in the country,” he said.